ANTHE results 2018 released at aakash.ac.in: The result of Aakash National Talent Hunt Exam (ANTHE) has been released at AAKASH Website aakash.ac.in. The scholarship exam was held on October 28 for the Class 10 students. As per the official website, the ANTHE 2018 result for Classes 8 and 9 students will be declared on November 13, 2018. Aakash Educational Services Limited (AESL) had conducted its scholarship exams that aims to offer up to 100 per cent scholarship and cash scholarship awards to students. 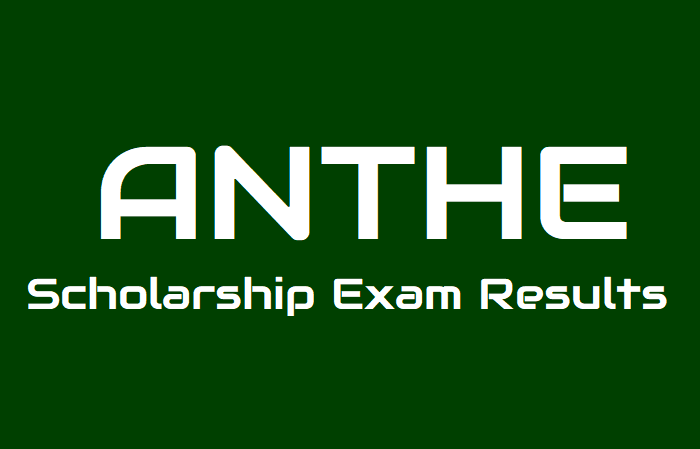 The ANTHE scholarship exam was conducted in both pen and paper and Computer Based Test mode to correspond with the government’s decision to conduct entrance examinations such as JEE (Main) in CBT format. 308912 students wrote the pen and paper test, 5250 students took the test in the CBT mode. All the top 50 students from Class, 8, 9 and 10 will be eligible for 100 per cent scholarship. Aakash Institute conducted the countrywide talent hunt exam in across 23 states/union territories.